The Mandelbrot set is a famous example of a fractal. A fractal is an irregular geometric shape that can be divided into parts in such a manner that the shape of each part resembles the shape of the whole. This property is called self-similarity. However, not all self-similar objects are fractals. For example, a straight Euclidean line (or real line) is formally self-similar, but it is regular enough to be described in Euclidean terms. Images of fractals can be created using fractal generating software. Such software allows scientists to construct computer models of natural objects with irregular shapes that approximate fractals to some degree. These objects include clouds, coastlines, mountain ranges, lightning bolts, and snowflakes. A closer view of the Mandelbrot set. The term fractal was coined by Benoît Mandelbrot in 1975 and was derived from the Latin word fractus, meaning "broken" or "fractured." In his book The Fractal Geometry of Nature, Mandelbrot describes a fractal as "a rough or fragmented geometric shape that can be split into parts, each of which is (at least approximately) a reduced-size copy of the whole." A mathematical fractal is based on an equation that undergoes iteration, a form of feedback based on recursion. It is too irregular to be easily described in traditional Euclidean geometric language. It is self-similar (at least approximately or stochastically). It has a Hausdorff dimension which is greater than its topological dimension (although this requirement is not met by space-filling curves such as the Hilbert curve). It has a simple and recursive definition. Animated construction of a Sierpiński Triangle, only going nine generations of infinite—click for larger image. To create a Koch snowflake, one begins with an equilateral triangle and then replaces the middle third of every line segment with a pair of line segments that form an equilateral "bump." One then performs the same replacement on every line segment of the resulting shape, ad infinitum. With every iteration, the perimeter of this shape increases by one third of the previous length. The Koch snowflake is the result of an infinite number of these iterations, and has an infinite length, while its area remains finite. For this reason, the Koch snowflake and similar constructions were sometimes called "monster curves." The mathematics behind fractals began to take shape in the seventeenth century when mathematician and philosopher Leibniz considered recursive self-similarity (although he made the mistake of thinking that only the straight line was self-similar in this sense). It took until 1872 before a function appeared whose graph would today be considered fractal, when Karl Weierstrass gave an example of a function with the non-intuitive property of being everywhere continuous but nowhere differentiable. In 1904, Helge von Koch, dissatisfied with Weierstrass's very abstract and analytic definition, gave a more geometric definition of a similar function, which is now called the Koch snowflake. In 1915, Waclaw Sierpinski constructed his triangle and, one year later, his carpet. Originally these geometric fractals were described as curves rather than the 2D shapes that they are known as in their modern constructions. In 1918, Bertrand Russell had recognized a "supreme beauty" within the mathematics of fractals that was then emerging. The idea of self-similar curves was taken further by Paul Pierre Lévy, who, in his 1938 paper Plane or Space Curves and Surfaces Consisting of Parts Similar to the Whole described a new fractal curve, the Lévy C curve. Iterated functions in the complex plane were investigated in the late nineteenth and early twentieth centuries by Henri Poincaré, Felix Klein, Pierre Fatou and Gaston Julia. However, without the aid of modern computer graphics, they lacked the means to visualize the beauty of many of the objects that they had discovered. In the 1960s, Benoît Mandelbrot started investigating self-similarity in papers such as How Long Is the Coast of Britain? Statistical Self-Similarity and Fractional Dimension, which built on earlier work by Lewis Fry Richardson. Finally, in 1975 Mandelbrot coined the word "fractal" to denote an object whose Hausdorff-Besicovitch dimension is greater than its topological dimension. He illustrated this mathematical definition with striking computer-constructed visualizations. These images captured the popular imagination; many of them were based on recursion, leading to the popular meaning of the term "fractal." A class of examples is given by the Cantor sets, Sierpinski triangle and carpet, Menger sponge, dragon curve, space-filling curve, and Koch curve. 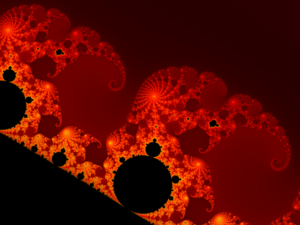 Additional examples of fractals include the Lyapunov fractal and the limit sets of Kleinian groups. Fractals can be deterministic (all the above) or stochastic (that is, non-deterministic). For example, the trajectories of the Brownian motion in the plane have a Hausdorff dimension of two. Chaotic dynamical systems are sometimes associated with fractals. Objects in the phase space of a dynamical system can be fractals (see attractor). Objects in the parameter space for a family of systems may be fractal as well. 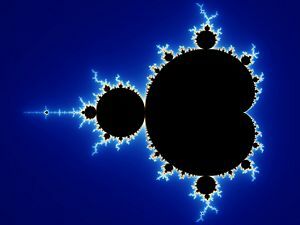 An interesting example is the Mandelbrot set. 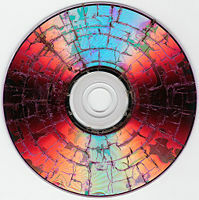 This set contains whole discs, so it has a Hausdorff dimension equal to its topological dimension of two—but what is truly surprising is that the boundary of the Mandelbrot set also has a Hausdorff dimension of two (while the topological dimension of one), a result proved by Mitsuhiro Shishikura in 1991. A closely related fractal is the Julia set. Even simple smooth curves can exhibit the fractal property of self-similarity. For example the power-law curve (also known as a Pareto distribution) produces similar shapes at various magnifications. Even 2000 times magnification of the Mandelbrot set uncovers fine detail resembling the full set. 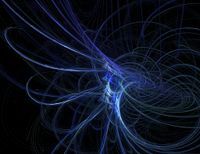 Escape-time fractals — (also known as "orbits" fractals) These are defined by a formula or recurrence relation at each point in a space (such as the complex plane). Examples of this type are the Mandelbrot set, Julia set, the Burning Ship fractal, the Nova fractal and the Lyapunov fractal. The 2d vector fields that are generated by one or two iterations of escape-time formulae also give rise to a fractal form when points (or pixel data) are passed through this field repeatedly. Strange attractors — Generated by iteration of a map or the solution of a system of initial-value differential equations that exhibit chaos. Exact self-similarity — This is the strongest type of self-similarity; the fractal appears identical at different scales. Fractals defined by iterated function systems often display exact self-similarity. Quasi-self-similarity — This is a loose form of self-similarity; the fractal appears approximately (but not exactly) identical at different scales. Quasi-self-similar fractals contain small copies of the entire fractal in distorted and degenerate forms. Fractals defined by recurrence relations are usually quasi-self-similar but not exactly self-similar. Statistical self-similarity — This is the weakest type of self-similarity; the fractal has numerical or statistical measures which are preserved across scales. Most reasonable definitions of "fractal" trivially imply some form of statistical self-similarity. (Fractal dimension itself is a numerical measure which is preserved across scales.) Random fractals are examples of fractals which are statistically self-similar, but neither exactly nor quasi-self-similar. Approximate fractals are easily found in nature. These objects display self-similar structure over an extended, but finite, scale range. Examples include clouds, snow flakes, crystals, mountain ranges, lightning, river networks, cauliflower or broccoli, and systems of blood vessels and pulmonary vessels. Coastlines may be loosely considered fractal in nature. In 1999, certain self similar fractal shapes were shown to have a property of "frequency invariance"—the same electromagnetic properties no matter what the frequency—from Maxwell's equations (see fractal antenna). Fractal patterns have been found in the paintings of American artist Jackson Pollock. While Pollock's paintings appear to be composed of chaotic dripping and splattering, computer analysis has found fractal patterns in his work. Fractals are also prevalent in African art and architecture. Circular houses appear in circles of circles, rectangular houses in rectangles of rectangles, and so on. Such scaling patterns can also be found in African textiles, sculpture, and even cornrow hairstyles. 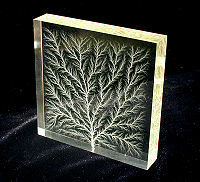 A fractal is formed when pulling apart two glue-covered acrylic sheets. ↑ Mandelbrot, B.B. 1982. The Fractal Geometry of Nature. San Francisco, CA: W.H. Freeman and Company. ISBN 0716711869. ↑ 2.0 2.1 John Briggs, 1992, Fractals:The Patterns of Chaos. London, UK: Thames and Hudson. ISBN 0500276935. 148. ↑ Kenneth Falconer, 2003, Fractal Geometry: Mathematical Foundations and Applications. Chichester, UK: John Wiley & Sons, Ltd. ISBN 0470848626. xxv. ↑ "Hunting the Hidden Dimension." Nova. PBS. WPMB-Maryland. ↑ R. Hohlfeld, and N. Cohen. 1999. Self-similarity and the geometric requirements for frequency independence in antennae. Fractals. 7(1):79-84. ↑ Taylor, Richard, Adam P. Micolich, and David Jonas. Fractal Expressionism : Can Science Be Used To Further Our Understanding Of Art? phys.unsw.edu.au. Retrieved January 14, 2009. ↑ Michael Frame, and Benoît B. Mandelbrot. A Panorama of Fractals and Their Uses. Yale. Retrieved January 14, 2009. ↑ Ron Eglash, 1999, African Fractals: Modern Computing and Indigenous Design. New Brunswick, NJ: Rutgers University Press. ISBN 9780813526140. Retrieved January 14, 2009. ↑ Peng, Gongwen, Decheng Tian. 1990. 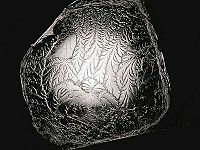 The fractal nature of a fracture surface. Journal of Physics A. 23(14):3257–3261. Retrieved January 14, 2009. ↑ Applications. ThinkQuest. Retrieved January 14, 2009. Barnsley, Michael F., and Hawley Rising. 1993. Fractals Everywhere. Boston, MA: Academic Press Professional. ISBN 0120790610. Falconer, Kenneth. 1997. Techniques in Fractal Geometry. New York, NY: John Willey and Sons. ISBN 0471922870. Gouyet, Jean-François. 1996. Physics and Fractal Structures. Paris, FR: Masson; New York, NY: Springer. ISBN 2225851301. Jones, Jesse. 1993. Fractals for the Macintosh. Corte Madera, CA: Waite Group Press. ISBN 1878739468. Jürgens, Hartmut, Heins-Otto Peitgen, and Dietmar Saupe. 1992. Chaos and Fractals: New Frontiers of Science. New York, NY: Springer-Verlag. ISBN 0387979034. Lauwerier, Hans, and Sophia Gill-Hoffstadt trans. 1991. Fractals: Endlessly Repeated Geometrical Figures. Princeton, NJ: Princeton University Press. ISBN 069108551X. - "This book has been written for a wide audience..." Includes sample BASIC programs in an appendix. Lesmoir-Gordon, Nigel, Ian Stewart, Paul Sinclair, David Gilmour, and Arthur C Clarke. The Colours of Infinity: The Beauty, The Power and the Sense of Fractals. Bath, UK: Clear. ISBN 1904555055. (The book comes with a related DVD of the Arthur C. Clarke documentary introduction to the fractal concept and the Mandelbrot set. Mandelbrot, Benoît B. 1982. The Fractal Geometry of Nature. New York, NY: W.H. Freeman and Co. ISBN 0716711869. Peitgen, Heinz-Otto, and Dietmar Saupe, eds. 1988. The Science of Fractal Images. New York, NY: Springer-Verlag. ISBN 0387966080. Pickover, Clifford A. ed. 1998. 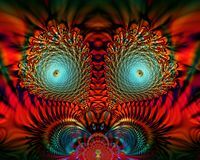 Chaos and Fractals: A Computer Graphical Journey - A 10 Year Compilation of Advanced Research. Amsterdam, NL; New York, NY: Elsevier. ISBN 0444500022. Sprott, Julien Clinton. 2003. Chaos and Time-Series Analysis. Oxford, UK: Oxford University Press. ISBN 0198508395. Wahl, Bernt, Peter Van Roy, Michael Larsen, and Eric Kampman. 1995. Exploring Fractals on the Macintosh. Reading, MA: Addison Wesley. ISBN 0201626306. Retrieved January 14, 2009. 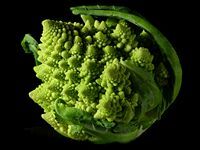 Fractal Geometry – An introductory course on fractals at Yale University. This page was last modified on 20 April 2017, at 14:50.